Nope, you're not reading the title wrong. In this week's post, hot off the press, I bring to you the truth behind the inflamous Fire Snake! 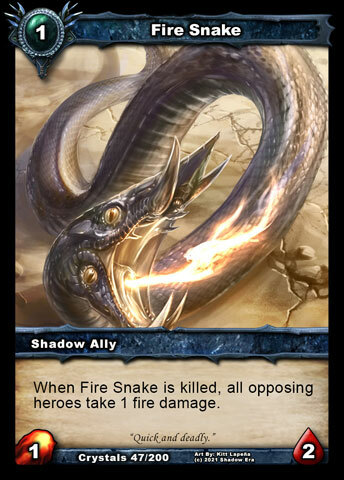 Ah, Fire Snake . 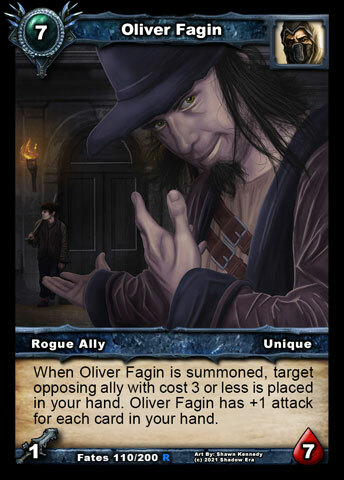 Thanks to Top-3 forum-poster, N3rd4Christ, this card can barely be mentioned without near hysterics from most players. There's no way I can possibly write a troll nearly as good as the ones everyone else creates, so I'm going to do something unique, unexpected, and entirely out of character for myself (and the Fire Snake ). I'm going to be completely serious. When the first Shadow Gates opened in the country of Layar, they did not open in the middle of cities. Nor did they open in the temples, the homes, or in the schools. These first few doorways to other worlds opened in scarcely visited areas of the countryside and could go months without being seen by any traveler. This fact was not true just in Balor, but in the worlds these Gates connected to. Due to the seclusion of these magical forces, the first beings to travel between worlds were simple animals; well, simple where they come from. The first of these animals to be captured was a snake with four eyes and the ability to breathe fire. These unique traits caused few explorers to risk travel to these new worlds. One lucky expedition made it to a place so terrible that the researchers who survived long enough to actually describe it referred to it as hell. The only survivor from that trip managed to gain the name of this world from the denizens; the world of Emore. A molten world of pain and fire. More of the snakes were captured over time, and series after series of experiments were ran. At least attempted at being run, since the creatures proved themselves clever enough to escape many of these facilities and no shortage of researchers were harmed in these escapes. Some information was gathered though, even if the cost was more than most believed worth it. This information was carefully recorded in massive texts of cryptozoology. As time passed and more intelligent beasts came, these books were often updated to reflect the dangers of the growing army calling themselves the Shadow. Ironically, it wasn't until this army controlled most of Layar, and thus its libraries, when the information correctly had the beast labeled as coming from Rackack; the world of the Snake.